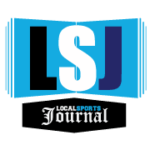 Home / Area News / Get your free LSJ high school football preview section at the 2017 Kickoff Party! Get your free LSJ high school football preview section at the 2017 Kickoff Party! It may be sunny and warm outside, but high school football is almost here! You are cordially invited to the 2017 Local Sports Journal/Sport Clips Haircuts High School Football Kickoff Party, Friday Aug. 18 from 4-7 p.m. at Bella Maria’s at the beautiful Oakridge Golf Club, 513 W. Pontaluna. 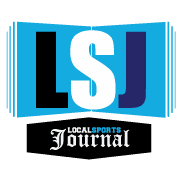 Come down and talk football with varsity players and coaches from our local high schools, and grab your free copy of LSJ’s popular, full-color high school football preview section! The football crew from WLCS 98.3 FM will be on hand to do a prep football preview show, and a “Football Friday” dinner menu, comprised of Teddy Spaghetti’s famous toasted ravioli, award-winning mac and cheese and hot dogs will be available. There will be a putting contest on the golf course practice green, with prizes for the winning adults and kids. There will also be raffles, 50/50 drawings and more! So come on down and help us kick off the new high school football season! See you there! Click here to check out the event on Facebook, then click the “going” button!